The equinox was on 21st march and the ITCZ follows it by 3 weeks. So the long rains will start tomorrow 11th April. This prediction was 90% accurate. Im in a location where yester night was just shwaaaaaaaaaaaaaaaa till morning. 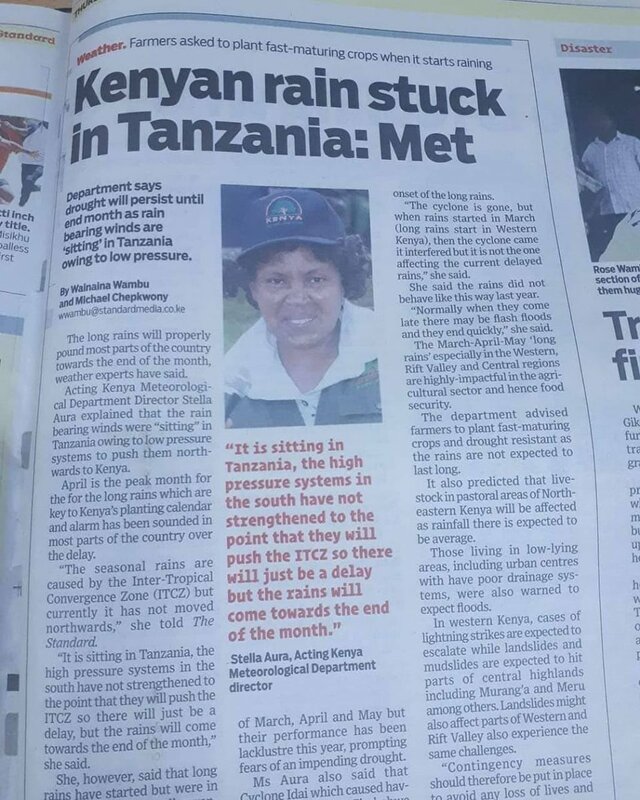 Met says the rains are still stuck in TZ. ohuru should hire me as his Chief Meteorologist. Am around Valleyroad school and the sound of the drizzle is just to exciting. My place received some good rains. Rain still stuck in TZ. This is how our rain gods summon the rains. Carry your umbrella next week. So the prolonged dry spell is due to ITCZ being held captive out there by a certain set of circumstances. 1. 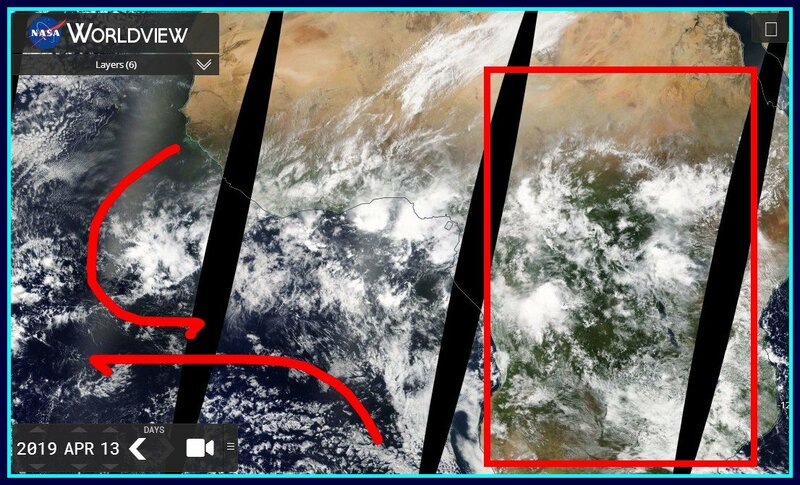 What are the chances that once the ITCZ is released it may land here in June or July then bring us rain at point in time? 2. Do these factors only conspire to deny rain when it should be falling or do they also conspire to have rain when it should be dry season? 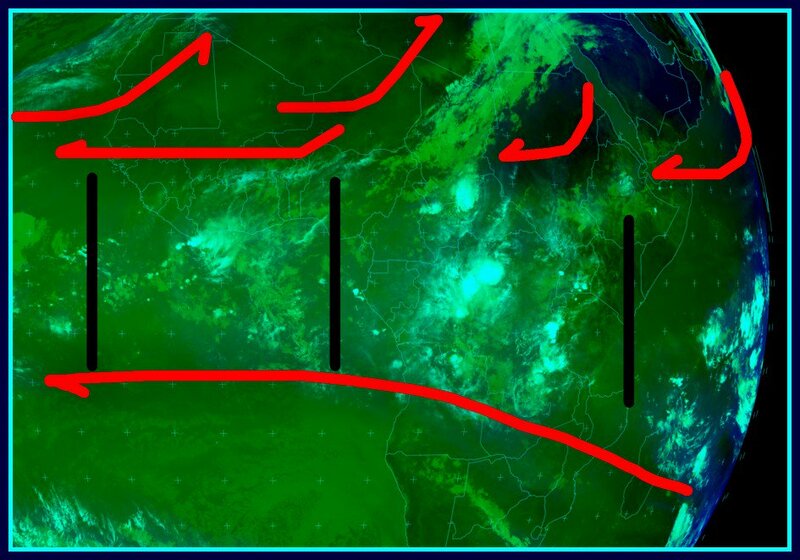 When the itcz is "released", it will jump like a rubber band mpaka south sudan and ethiopia. So no rain for us. First what is ITCZ? Sailors called it the doldrums or the calms, is the area encircling Earth near the Equator, where the northeast and southeast trade winds converge. So in simple terms - its the winds. On the satellite it appears as a band of clouds consisting of showers and its positioned north and south of the equator. The pressure in the atmosphere plays a role in determining where these clouds will dump moisture. For some weeks this band has been over the equator heavy on west africa all the way to UG RW TZ western KE but it kind of bends downwards to TZ. Ref post 216. The weatherman in Kenya needs to stop giving historical weather details as forecasts. Last year the ITCZ formed early and the rains started much earlier yet they gave the same forecast as they did. Plus the language they use "being held captive" why do they assume people are uneducated? Rain and cloud cover for today 18/4/19. Mambo iko mbaya sana saidi. Mbua avoiding Kenya.